Members of the Russian Public Chamber are proposing to ask the Russian and European Journalists’ Unions to boycott the controversial French magazine Charlie Hebdo after it published a cartoon mocking the recent attacks on women by immigrants in Cologne. The initiative was prepared and launched by the chamber’s committee for public diplomacy. “It is necessary to stop distributing any information about this magazine, any links to its materials or comments on them. We want to call for observation of professional ethics and international laws and to remind everyone about the urgency of protection for mothers and children,” committee chair Yelena Sutormina told Kommersant daily. The letters promoting the boycott will soon be forwarded to the Russian Journalists’ Union and to the European Federation of Journalists, she said. The appeal was prompted by the latest issue of Charlie Hebdo, which contains a cartoon that ridicules the attacks on women in Germany’s Cologne that took place on the New Year’s Eve. About 430 women told police that they were harassed by groups of young men, supposedly immigrants from North Africa and Middle East, and two women said they were raped. Sutormina added that it was not the first attempt by the Public Chamber to launch a campaign that would influence Charlie Hebdo cartoonists and editors. “Last year we sent addresses to OSCE’s representative for freedom of press and the CE’s commissioner for Human Rights, asking them to denounce the magazine’s moves and take at least some action against it, but they replied that this was out of their competence. We also addressed the French press minister and Reporters without Borders, but they did not reply,” the activist said. She also told reporters that many of the cartoons published by Charlie Hebdo last year caused intense negative response in the Russian society. Such were the pictures making fun of Prophet Muhammad, terrorist attacks in Paris and the bombing of the Russian passenger jet over Sinai Peninsula. 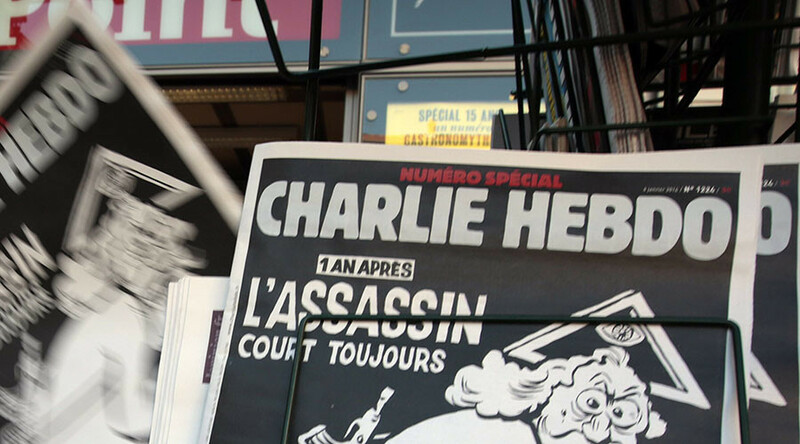 The French satirical weekly came to international prominence after a group of gunmen attacked its Paris office on January 7, 2015, killing 12 people and wounding 11. The Yemen branch of the Islamist terrorist group Al-Qaeda claimed responsibility for the shootings, saying that it was a revenge for the cartoons mocking the Prophet Mohammed. According to a poll conducted about a week after the attack, many Russians disapproved of the terrorists’ actions, but thought that they were provoked by the French journalists. Many respondents also said that the blame lay with the French government for allowing the insults on religious beliefs in the first place.